An adaptable space for years to come. You may need some extra space for one purpose, whether it’s extra room for the children or a garden office; but these needs will inevitably change over time. 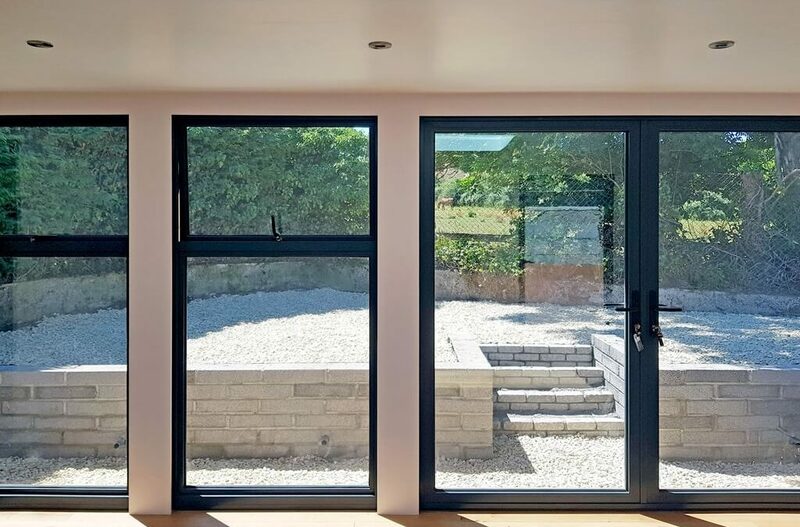 Our client in Bath loves the flexibility of her new garden room because she knows she’s invested in something beautiful, durable and versatile for the future. There are more self-employed entrepreneurs in Britain than ever with businesses blossoming in many a spare room. But how do you manage to meet the needs of your business in such a small space? How do you manage to separate work life from home life? One of our clients was faced with this conundrum, which led to the creation of our first River Range MOSSpod. Despite her business doing well, there seemed little scope to expand her venture when the lack of space and the balancing of family life was becoming such an issue. Creating a separate, bigger space just a short stroll away down the garden became a much more welcome proposition, which is when she contacted us after googling for a local garden office supplier. As space-creation was one of the most pressing concerns, our client opted for the largest of the River Range MOSSpods; the ‘Thames’ (6.4m x 4m) which boasts contemporary clean lines, simple interior design and exceptional quality. The contrast between the deep grey and light silver larch wood has been a favoured feature of this range along with the rhythmic pattern of the durable corrugated steel cladding. The aluminium windows show off the simple, modern design and are a stunning lightweight but robust characteristic of these pods. Our client was very pleased with both the design and quality of her choice. 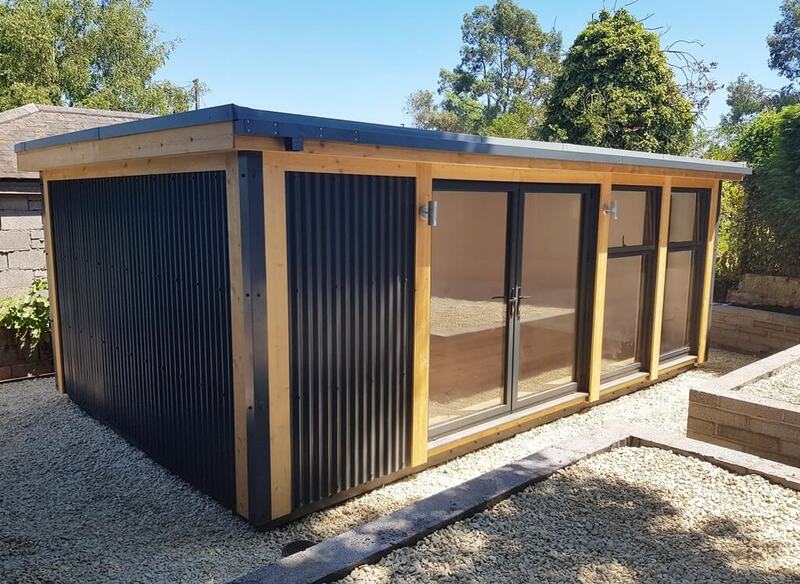 What’s so special about this project is the versatility it offers: while the business develops, it serves its purpose as a garden office, but our client is also wants to plan for the future for both her business and her pod because working long hours in the office won’t be on the cards forever. This is where the garden room will come into its own through the flexible design providing freedom for future use of the space. Everything has been considered from the start: there are plans to use it as a luxury holiday apartment, so we landscaped the area around the pod to ensure guests’ privacy and installed an ensuite shower room, both to serve the home office for now and for a potential let in the future. We have even made sure that the position of plug sockets allows for both a functioning office and transformation into a bedroom. A currently shelved corner has every provision necessary to be turned into a kitchenette and an ensuite shower room will be a breeze to install when needed! Creating a space in your garden like this is perfect for expanding a new business, but it’s also a great way of ensuring your house is unique for future buyers and adaptable for future generations as a room at the bottom of the garden is everyone’s dream!